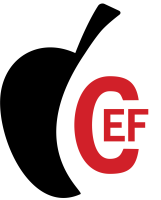 The Mission of the Coppell ISD Education Foundation is to generate and distribute resources to the Coppell Independent School District for educational, motivational and innovative programs needed to meet the district’s mission of excellence in education. A dedicated organization governed by an independent board of directors comprised of volunteers representing the Coppell community and businesses served by CISD. Generate and distribute resources to CISD for educational, motivational and transforming programs desgined by our facilitators and administrators for our learners, our schools and our community. Throughout the school year with our fundraising campaigns, camps, grants and recognition programs. At all elementary, middle and high schools in CISD. Because we are about our kids, our schools and our community. With these events: Run to Fund race, Interactive Institute, Academic Recognition Banquet, Robotics Camp, Super Stars, Foundation Plaza and partnering with business sponsors.